You are here: Home / Thrifty Living / Can Anyone Get On The Property Ladder? Many people want to own a house of their own. 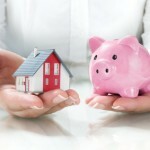 For a lot of people out there, owning their own home is a sure sign of some kind of financial success. But it’s not just a wealth status which drives people to want to own the house they live in. Having something of such value under your own name also helps you to prepare for a stronger future, financially speaking, and ensures that you have something to fall back on if things get tough. But there are many people who do not feel that they are in a strong enough position to be able to buy a house for themselves. In this article, we are going to show how that is unlikely to be the case. With a little forethought, even those in the worst situations can make steps towards buying a home. One aspect of the whole process which tends to frighten people a little is that of finding a decent and suitable mortgage. Unless you happen to have hundreds of thousands sitting in the bank, it is highly likely that you are going to need a mortgage. But famously, such loans can be hard to come by if you are not in the best financial position. If you have poor credit, for example, then you might find it difficult to secure a mortgage. Fortunately, there are ways around this. 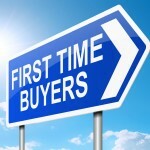 Companies like 1st UK offer bad credit mortgages, in that they will offer mortgages to those who have poor credit as well as those who have good credit. So even if it feels as though all is lost, that is probably not the case. 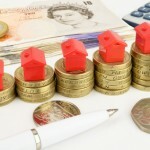 Even if you do manage to secure a mortgage, anyone in a poor financial state will soon enough find themselves faced with the quandary of how to raise the deposit. For most properties, the deposit is ten percent of the asking price, so that probably means you are going to need a fair amount in the bank before you can buy that house you have your eye on. If you think you might struggle with that side of things, then now could be a good time to ring up any favours that you might have outstanding with the people in your life. Similarly, you could look into getting a loan, but make sure that it is one which you are likely to be able to repay in good time. You don’t want to bankrupt yourself in the process of buying a house. We all know that location is a famously important part of the process of buying a house. But in many ways, it is particularly important for those who are not in the best financial position. This is because, by playing around with what locations you are looking at, you might actually be able to significantly reduce the amount of money you will need to drum up. 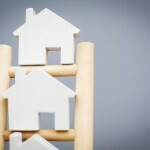 Look for equivalent properties in cheaper areas, as this is often a powerful way to get your foot on that ladder. 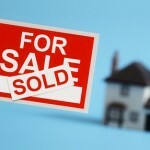 Doing this could mean that you can afford a property much sooner than you had expected.